Marty McFly would've loved these. Nike is on a mission to kill shoelaces for good with its new pair of app-controlled sneakers, which made their official debut today. 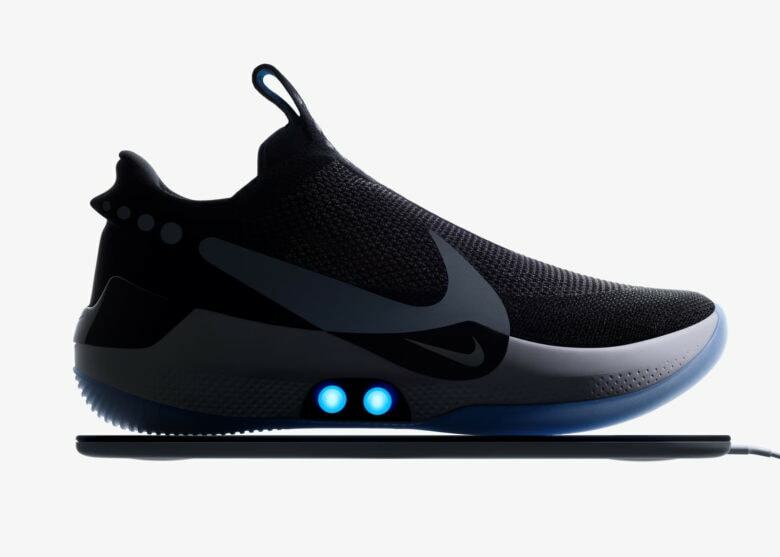 Taking a page right out of Back to the Future II, Nike’s new Adapt BB self-lacing shoes pack wireless connectivity, and a custom motor and gear train, to give athletes a perfect fit without having to fuss with retying their laces. The Adapt BB shoes can be tightened and loosened using the buttons on the side of the shoe or via an app (both iOS and Android). This could be really valuable to basketball players, whose feet can expand half a size during the rigors of a game. Inside look at the intricate lace engine of the Adapt BB. Nike flew NBA players like the Boston Celtics’ Jayson Tatum to its lab in Portland to put the shoes to the test. The idea is to provide a shoe that adapts to a players’ needs throughout a game. If you’re a basketball fan, you can watch the shoes’ first debut on the court this Wednesday when Tatum and the Celtics take on the Toronto Raptors. Nike pledges to put out firmware updates for the shoes so they keep getting better. The company plans to release a feature shortly after launch that lets athletes choose how tight they want the shoes during warmups and then another switch for game time. Getting a taste of the future won’t come cheap. Nike will charge $350 for a pair of Adapt BBs when they launch next month. Hopefully, as the technology becomes more ubiquitous, the price will drop to something non-NBA superstars can afford.